LDN Community tributes to a Great Member & Ever Remembered Friend.. It is with great sadness, we write this to convey the sad message of the passing away of Mr Brian England in the early hours on Wednesday 15th February 2012. His funeral will take place at Wilbury Hill Cemetery, Letchworth on Friday 24th February 2012 at 2:30PM. May he attain supreme bliss of Nibbana! Mr Brian became a good friend of us (LDN-BCC) and obtained the membership of the centre. Ever Since his introduction to Buddhism & our centre, last two years, he was extremely benefited with The Buddhist Teachings and services provided by our centre and he had a great interest about Buddhism and Meditation. During his last few days in the Lister Hospital, Venerable Monks and few members of the centre and Meditation Groups attended to Get Well Blessing Peace Chanting and we supported him every way to make him feel happy and peaceful. He and his loving family appreciated it so much. May he attain supreme bliss of Nibbana! It is with great sadness, we write this to convey the sad message of the passing away of Mr Brian England. 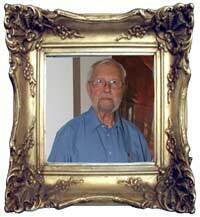 Mr Brian England was passed away peacefully in the early hours on Wednesday 15th February 2012. During his last few days in the Lister Hospital, Venerable Monks and few members of the centre and Meditation Groups attended to Get Well Blessing Peace Chanting and we supported him every way to make him feel happy and peaceful. We thank you for your humble support and togetherness in friendliness. He was a member of our centre and also a regular participant of our weekly Meditation and Buddhist Teachings Sessions for the last two years. We are so pleased that he was extremely benefited with The Buddhist Teachings and services provided by our centre and he had a great interest about Buddhism and Meditation. He was always very concerned about the up keep of the centre and the welfare of the monks. He supported our centre in every way he can and sincerely wished for our success always. He even put forward certain suggestions at public meetings of Letchworth Heritage Foundation to facilitate us with better building facilities to initiate our Buddhist Services for wider community. We appreciate those so much beside his remarkable friendliness. I am sure we all will remember him always. His funeral will take place at Wilbury Hill Cemetery, Letchworth on Friday 24th February 2012 at 2:30PM. We know all your thoughts are with us and we sincerely appreciate your solidarity in our prayers wishing him Lasting Peace Nibbana! If you wish to attend, you are very much well come to do so. However, please let us know in advance. May Mr Brian England Attain the Supreme Bliss of Nibbana (Lasting Peace)!!! Following Life Memories of Our Dearest Devotee Mr Brian England, highlight some of the greatest contributions to our centre and the community.